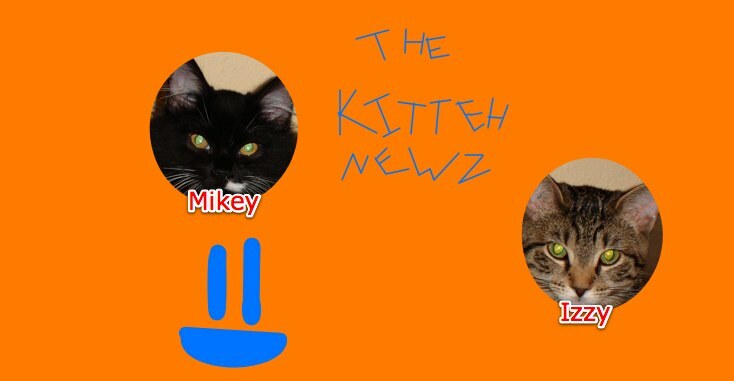 The Kitteh Newz: Back again/Aww/Thank you, Izzy! Grampaw and I came back from our 5-day hiking/camping trip on Tuesday, the 11th. It was awesome!! We ate wild blueberries, strawberries, and thimbleberries. We stayed at Lake Richie, Moskey Basin, Daisy Farm, Threemile, and Rock Harbor Lodge. We had so much fun! Also, just a few minutes ago, Mikenstein was sitting on the coffee table. Then, he jumped on the couch, curled up next to me, rolled over onto his back, and started purring. I gave him belly rubs and he almost seemed to smile at me. Such a sweetiepie. Another thing. Izzy was sitting on level 3 of MIW Mountain (the cat condo) , but she was kinda lying on the edge. I was about to scoot her over when she scooted up and turned around herself. Silly girl.